I bet a bunch of folks that use Skype frequently for video calls have declined a call at some point not because they didn’t want to talk, but because the room was a mess and they didn’t want people seeing that. Skype has finally gained a feature that will blur your background. That means the people won’t see your messy room or other background objects. 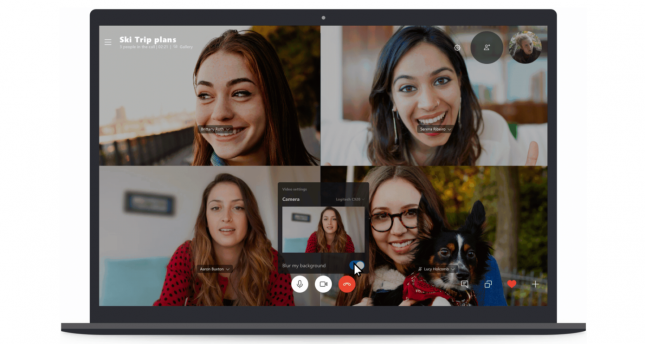 Skype says that the feature is similar to a feature that Microsoft teams gained the last year reports TechCrunch. The tech uses AI to keep the focus on the caller, not the background. The feature will keep the person and their body in focus leaving a blurry background. The feature will land on Skype for desktop, web, and mobile devices. Not all mobile devices are supported though. To see if you have the background blur feature, check the Skype settings or enable via the video call button inside.